75th Annual Meeting Dinner Dance! Save the date for our 75th Annual Meeting Gala Celebration on Saturday, May 4, 2013! We want a great turnout this year! The dinner party will be held at the Knights of Columbus in Luzerne, PA, from 5:15-10:45PM. Please contact us at (570) 825-9950 for more details! Next postAmusement Park Tickets on Sale Now! really looked all over and tried many things………………….how do you log on to an account? 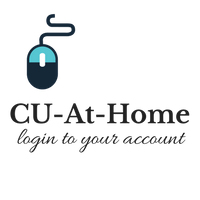 Click on the logo on the left side that says CU-At-Home, online account access.